While we’re sorry to see HIFF come to an end, we’re thrilled that we could pair you up with so many terrific films. There’s still plenty on deck today, including our Closing Night Film, AMERICAN PASTORAL, with special guest Dakota Fanning in attendance. Are you feeling lucky? Our HIFF Awards Ceremony is today at 10am, during which we will announce the winners of our Best Documentary and Best Narrative Competitions. All four films (features and shorts) will screen later today, and we’re confident you will love them, no matter who wins. 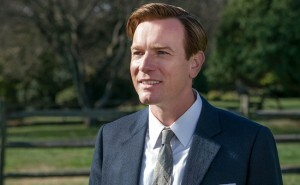 Ewan McGregor’s directorial debut is a searing adaptation of Philip Roth’s Pulitzer Prize-winning novel. Seymour “Swede” Levov (McGregor), a former star athlete, and his beauty queen wife (Jennifer Connelly) live an idyllic life in a quaint New Jersey town. Their lives are irrevocably changed when their daughter Merry (Dakota Fanning) becomes radicalized. When Merry disappears after being accused of committing a violent act, Swede dedicates his life to finding her and reuniting his family. A complex and layered insight into the precariousness of the American Dream, AMERICAN PASTORAL is a subversive and provocative experience. 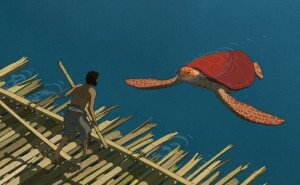 From the acclaimed Studio Ghibli, perhaps one of the world’s most respected animation houses, comes a quiet and mesmerizing masterpiece about one man’s journey to overcome loneliness on a deserted tropical island. Stranded among turtles, crabs, and birds, the simple characters are surrounded by a rich ecosystem, where the textures and symbolism offer a deeper understanding of the milestones in the life of a human being. Academy Award®-winner Dudok de Wit makes his feature debut with this meditative and mysterious must-see tale. Ken Loach returns with the social-realist drama that won the legendary filmmaker his 2nd Palme d’Or Award at the Cannes Film Festival. 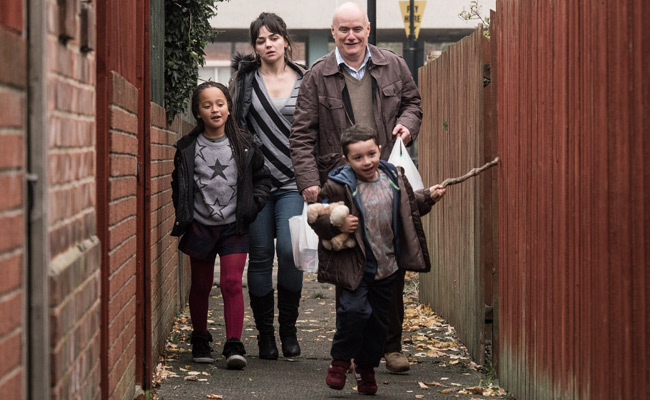 At 59 years old, after widower Daniel Blake suffers a severe heart attack and abruptly finds himself out of work, he must rely on welfare from the British state in order to get by. When his benefits are unceremoniously revoked, Blake finds himself trapped by an unsympathetic system. With a career spanning almost fifty years, Loach’s latest offering is a heartbreakingly compassionate look at the hardships facing the working class in the midst of unforgiving bureaucracy. After James (Dan Stevens, Downton Abbey), a blind man, suddenly regains his vision, he begins to transform his life. Driven by new desires, he develops a hunger for material things–a nicer home, a new car, a promotion–leaving little room for his family and long time loyal friend, Bob (Oliver Platt). His vision also threatens his marriage to Sam (Malin Akerman), who now pays more attention to her appearance but isn’t able to stop James’s eyes from wandering. A beautifully shot portrait, THE TICKET follows James’s journey as he gains his vision but loses sight of who he is in the process. Australian director Ivan Sen (MYSTERY ROAD, HIFF 2012) returns with an Outback thriller about indigenous detective Jay Swan and his search for a missing migrant worker. As he digs deeper into the case, Swan discovers a complex web of crime and corruption, implicating myriad characters, including the local mining company and the town’s brassy mayor, played by the Oscar®-nominated Jacki Weaver. Set in a picturesque terrain, GOLDSTONE boldly plays with Western genre tropes while addressing Aboriginal relations in this socially conscious and highly entertaining crime procedural. This witty satire set in communist Czechoslovakia explores the veiled corruption and power plays that were all too common during the Communist era. Since the arrival of the new teacher at their school, students and parents alike slowly discover that a few well-timed favors can greatly increase the students’ chances of getting a good grade. The parents are asked to sign a petition to remove the teacher from the school, but she has powerful connections within the Communist Party, and doing the right thing might prove to be more difficult than they had originally anticipated. In 1979, James Baldwin wrote a letter to his literary agent detailing a new book he was preparing to write, discussing the influential lives and subsequent assassinations of Martin Luther King Jr., Medgar Evers and Malcolm X. Baldwin wrote only 30 pages before he died, but the unfinished material bears the collective trauma and the personal one (he was a close friend of the three). 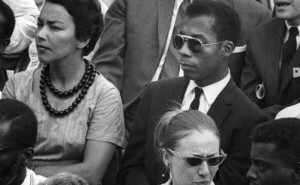 Narrated by Samuel L. Jackson, the film is crafted entirely around Baldwin’s manuscript, skillfully weaving in archival footage of the Civil Rights and Black Power movements, and archival footage of Baldwin himself. Anchored by three towering figures of African-American history, more than 30 years after the writing of the manuscript, the racial struggle feels acutely relevant today.